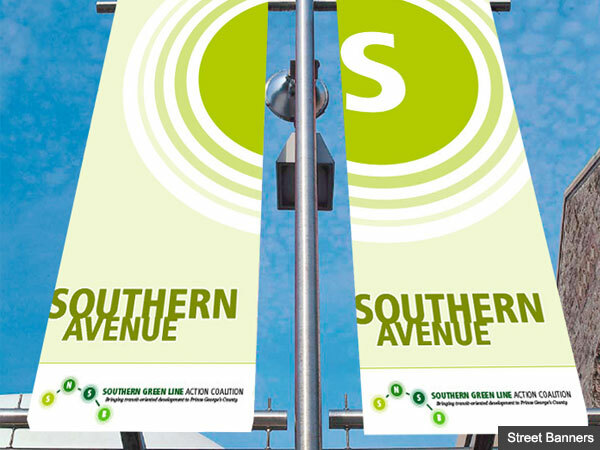 My firm, Trialogue Studio, was on a team engaged to develop a comprehensive transit-oriented development action plan for the corridor that encompasses the last four Metro stations on the southern part of the Green Line in Prince George’s County, Maryland. What started as a study area has developed into an action coalition tasked with trying to push through the new recommendations. 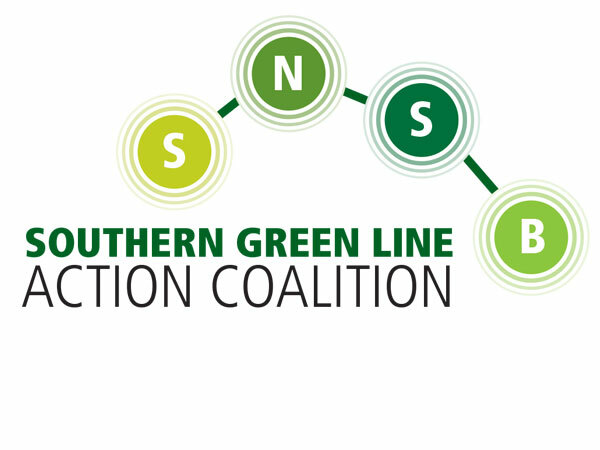 The new identity for the coalition was inspired by the metro line itself, pulsing with the energy and excitement that comes with the improvements to this area. 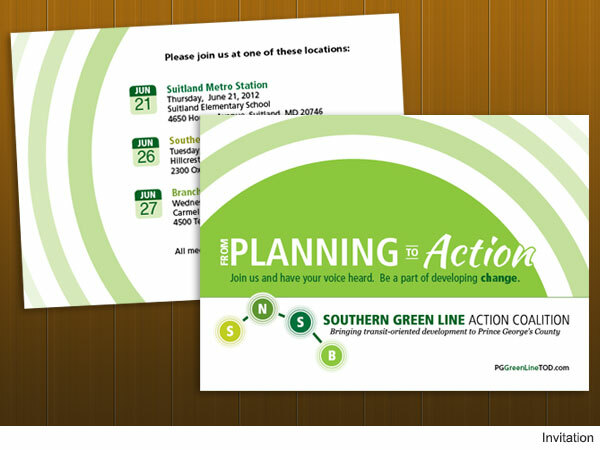 In addition to the identity, I developed the style for them to use in all marketing and environmental pieces.